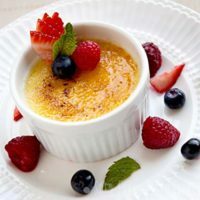 This flan recipe has been updated slightly to make it a simple to cook dessert recipe. 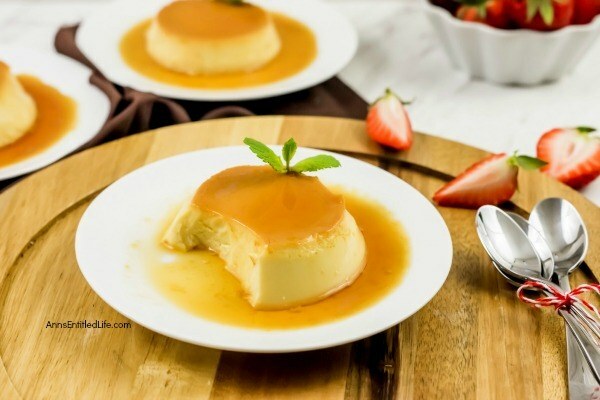 A traditional flan recipe is a wonderful egg-based dessert that is smooth, sweet goodness in every tasty bite; a custard caramel treat that is simply delicious. 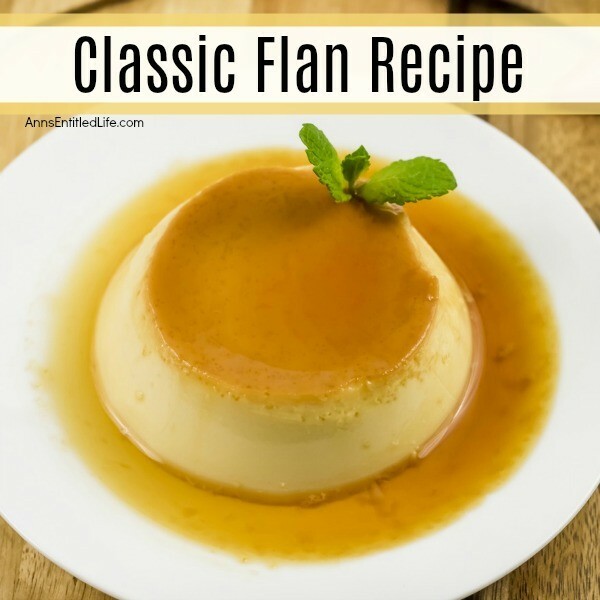 Flan was originally an Italian dish, well Roman. The name flan comes from the French word flaon, which comes from the Latin flado – flat cake. The Romans made flan with honey, the Spanish made it more custardy and sweetened it with sugar – which is the traditional flan recipe we think of today with a caramelized sauce. 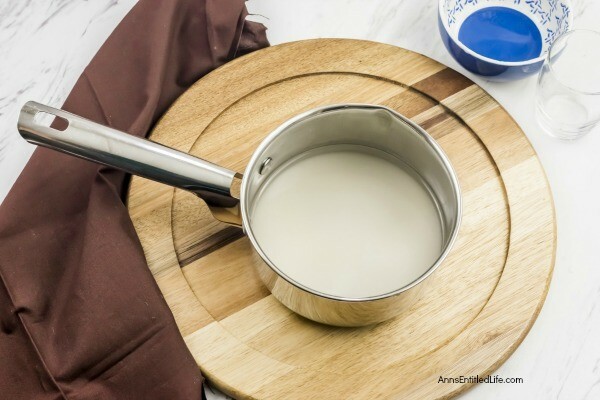 The classic flan recipe has been updated with “modern” conveniences – such as sweetened condensed milk. 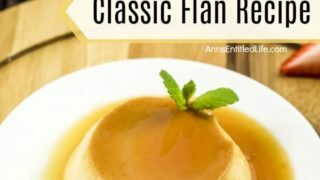 Here is an interesting story about how flan started out as a spicy dish in Roman times, became a sweet dish too, and then eventually evolved into the classic dessert dish that we Americans think of as flan, over the centuries. This classic custard recipe is slightly updated to make it easier to cook. 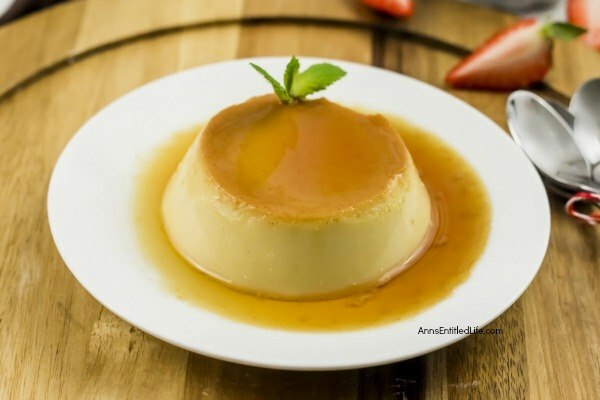 • The flan can be made up to 2 days in advance. • Instead of single serve ramekins and custard cups, you can make it in a 9-inch cake pan or even a 10 cup Bundt pan. • Combine the sugar and water in a sauce pan and bring to a boil over medium-high heat. Keep stirring till the sugar dissolves. Once the sugar dissolves, do not stir but keep swirling the pan till the sugar syrup thickens and turns golden brown. 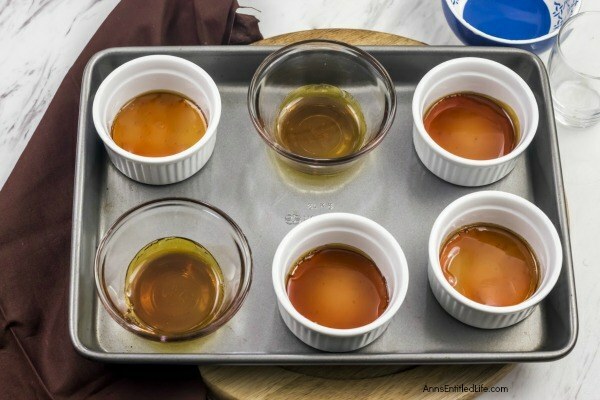 • Divide the caramel evenly between 8 6-ounce ramekins or custard cups. • Preheat the oven to 325°F. 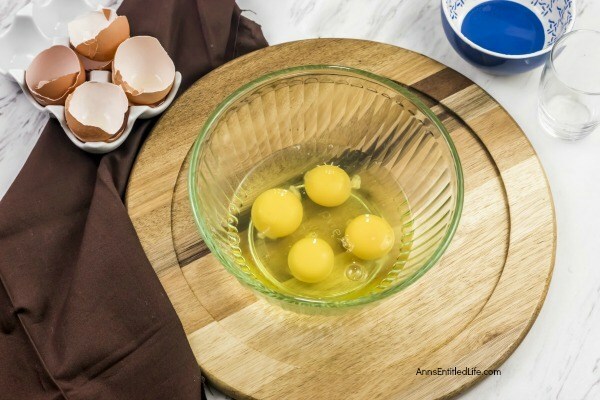 • In a large bowl, whisk the eggs with a whisk till well beaten. 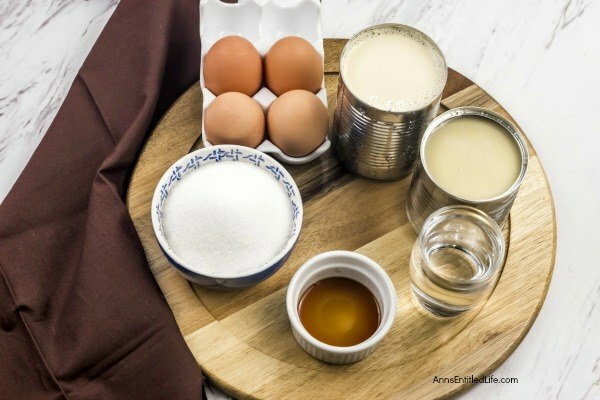 • Add the evaporated and the condensed milk, along with the vanilla extract. Whisk till well blended. Make sure to use a whisk and not an electric beater as you do not want to incorporate any air. • Divide the mixture evenly into the 8 ramekins or custard cups. 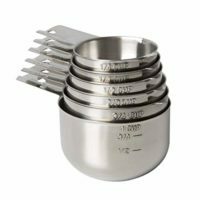 • Place the cups in a large baking pan with sides. 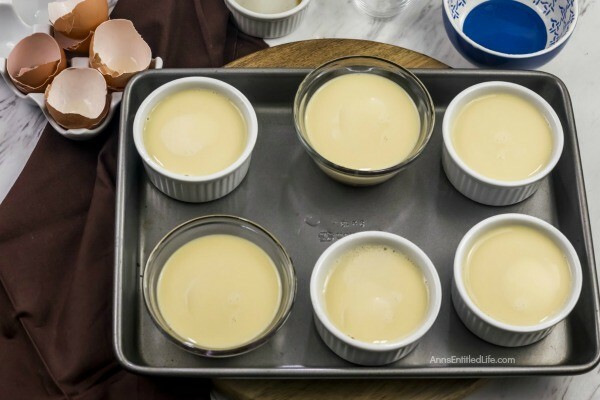 Add warm water to the baking pan, and let it come halfway up sides of the custard cups or ramekins. • Cover baking pan tightly with foil. • Bake for 45 minutes. The custard should be set but a little jiggly in the middle. Let it cool for about 20 minutes on the counter. • Then transfer it to the fridge and let it chill for at least 5 hours. Overnight is the best. • To serve, run a butter knife along the edges of the custard cups. Invert it onto serving plates. 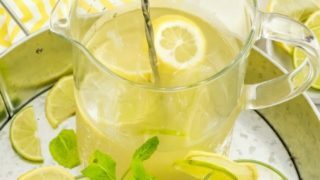 • Garnish with fresh fruits and mint leaves (optional). Classic Flan Recipe. 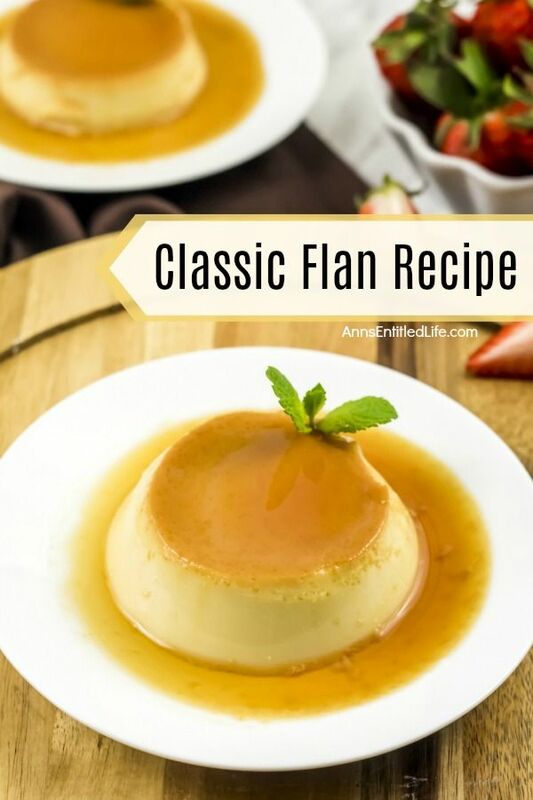 This flan recipe has been updated slightly to make it a simple to cook dessert recipe. 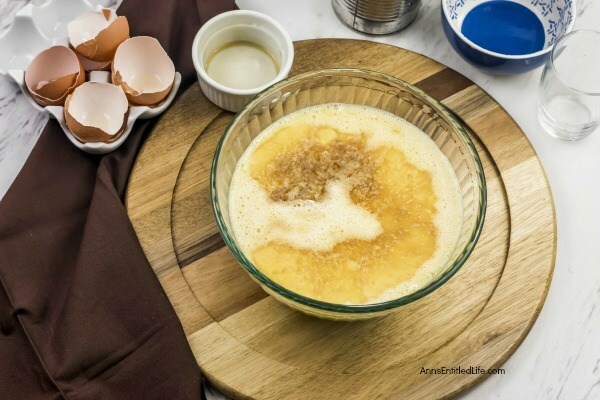 A traditional flan recipe is a wonderful egg-based dessert that is smooth, sweet goodness in every tasty bite; a custard caramel treat that is simply delicious. 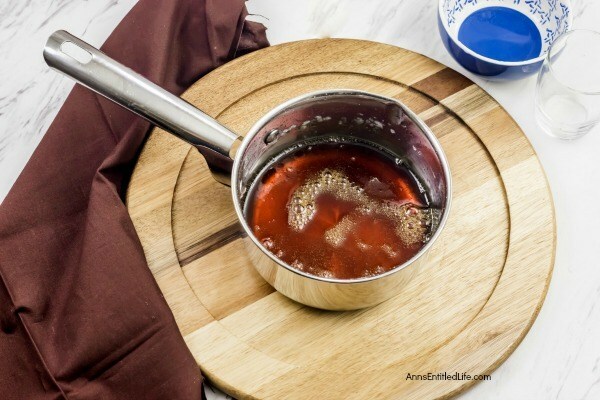 Combine the sugar and water in a sauce pan and bring to a boil over medium high heat. Keep stirring till the sugar dissolves. Once the sugar dissolves, do not stir but keep swirling the pan till the sugar syrup thickens and turns golden brown. Divide the caramel evenly between 8 6-ounce ramekins or custard cups. 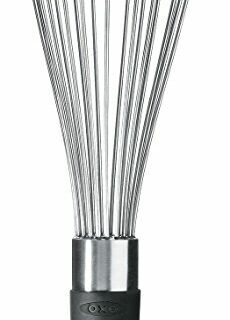 In a large bowl, whisk the eggs with a whisk till well beaten. Add the evaporated and the condensed milk, along with the vanilla extract. Whisk till well blended. Make sure to use a whisk and not an electric beater as you do not want to incorporate any air. Divide the mixture evenly into the 8 ramekins or custard cups. Place the cups in a large baking pan with sides. 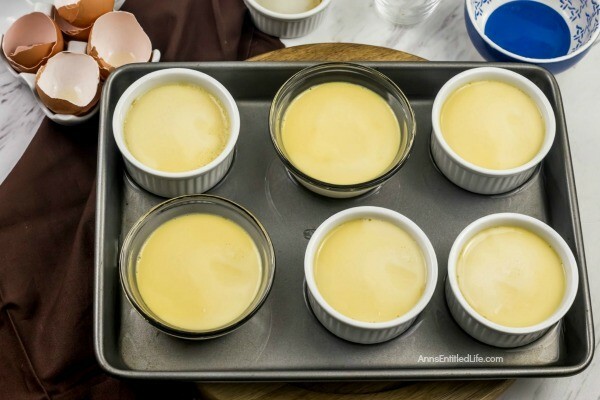 Add warm water to the baking pan, and let it come halfway up sides of the custard cups or ramekins. Cover baking pan tightly with foil. Bake for 45 minutes. The custard should be set but a little jiggly in the middle. Let it cool for about 20 minutes on the counter. Then transfer it to the fridge and let it chill for at least 5 hours. Overnight is the best. To serve, run a butter knife along the edges of the custard cups. Invert it onto serving plates. Garnish with fresh fruits and mint leaves (optional). 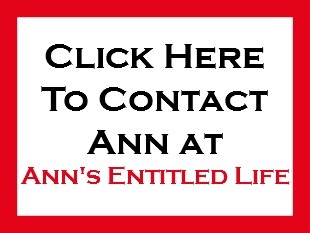 • Mexican Fruit Cake Recipe – This is my grandmother’s Mexican Fruit Cake recipe. It is a moist, delicious, and easy to make cake that I hope your family will enjoy as much as mine does. The next time you need a fabulous cake recipe for family or guests, give this wonderful Mexican Fruit Cake a try. • Classic Texas Sheet Cake Recipe – This old-fashioned chocolate cake recipe is so simple to make! My Grandmother made this exact recipe for many an occasion when I was growing up. This classic, chocolate Texas sheet cake is moist, sweet and totally decadent. • The Original Bacardi Rum Cake Recipe from the 1980s. This is one moist and delicious rum cake recipe! 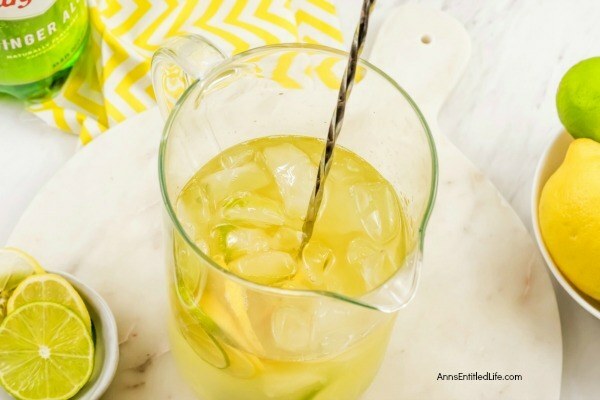 Be prepared – this may be your new go-to drink! 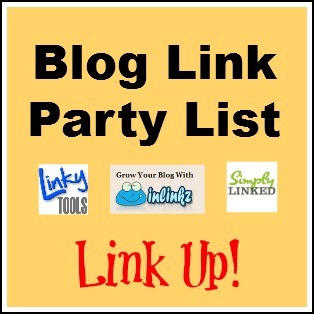 It is light, refreshing, and seriously packed full of some super fantastic flavors. 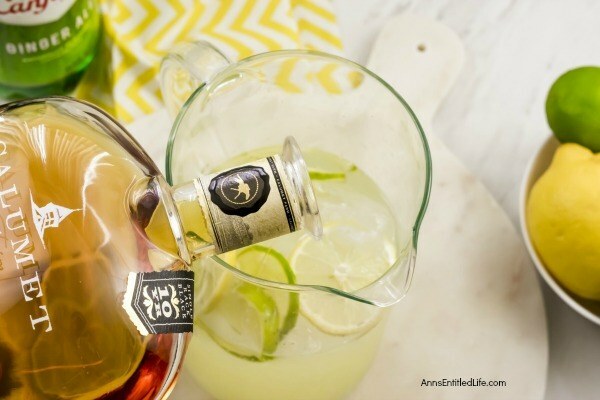 Who knew that bourbon and vodka would pair up so perfectly in this drink? 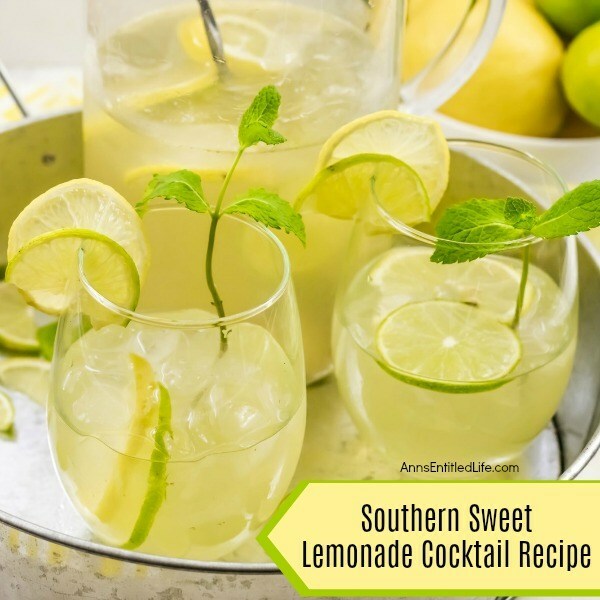 This Southern Sweet Lemonade Cocktail is super simple to make, and totally delicious. 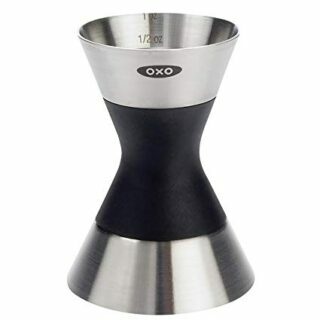 Want a great tasting warm-weather cocktail that can be made to serve a crowd? This is it! 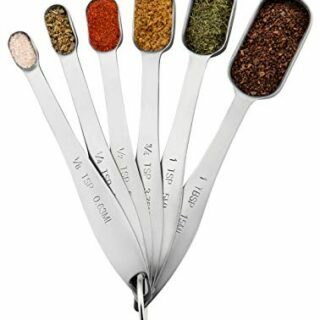 The recipe as given is for six servings, to make 12 servings, double it, 18 servings, triple it. Just be aware you will need a larger container as this makes 48 ounces and the ice does take up volume. 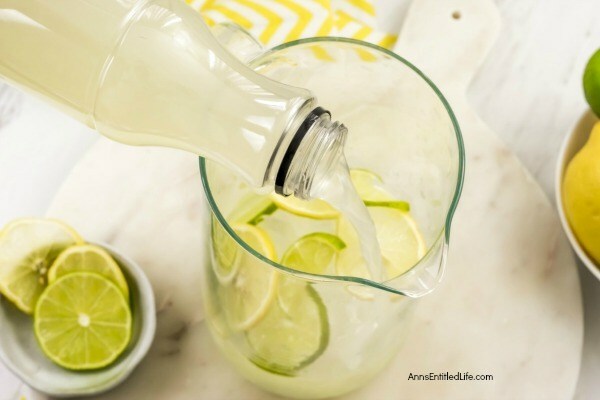 • Fill a pitcher halfway with ice and a lemon and lime slices (one to two lemons and limes, to taste). 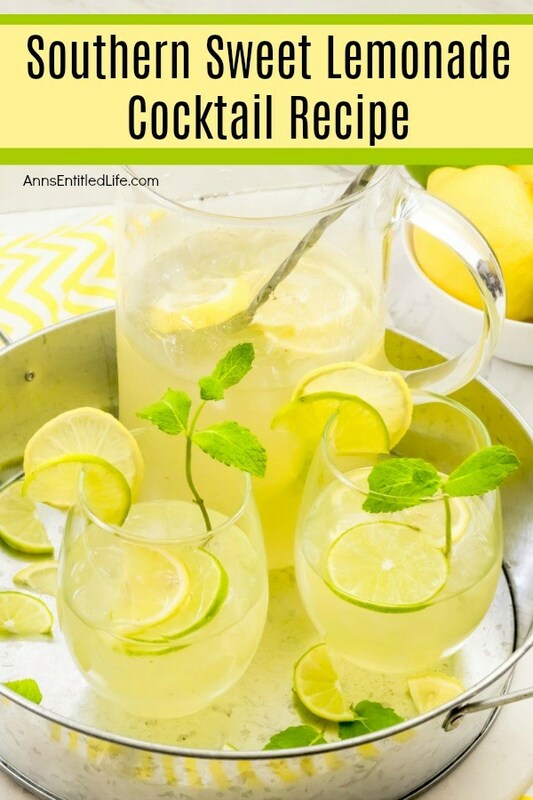 • Add 16 ounces of prepared lemonade, 6 ounces of bourbon, 4 ounces of Citron vodka, and 4 ounces of limoncello; stir. • Top with 16 ounces of ginger ale. 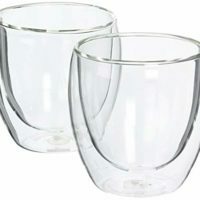 • Add a cube or two of ice in each glass. 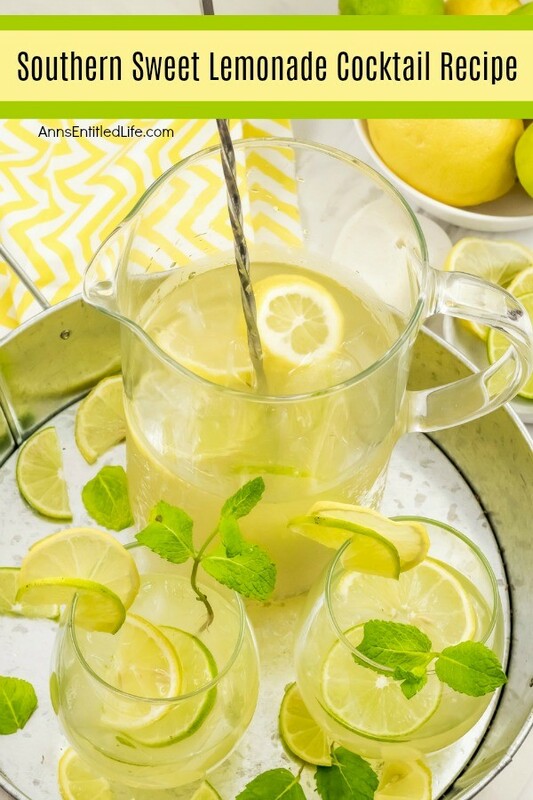 • Pour the lemonade cocktail over the ice and add in a lemon and lime and mint sprig for garnisg. 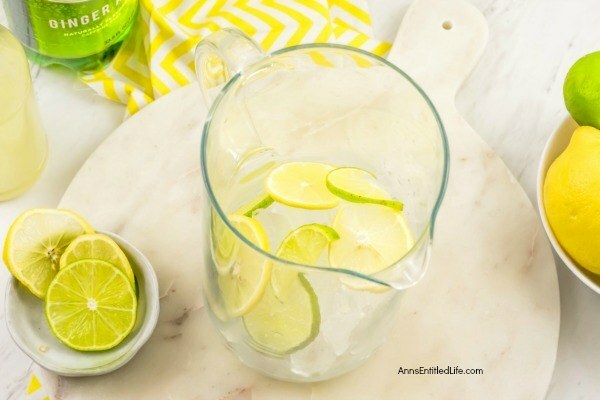 Fill a pitcher halfway with ice and a lemon and lime slices (one to two lemons and limes, to taste). 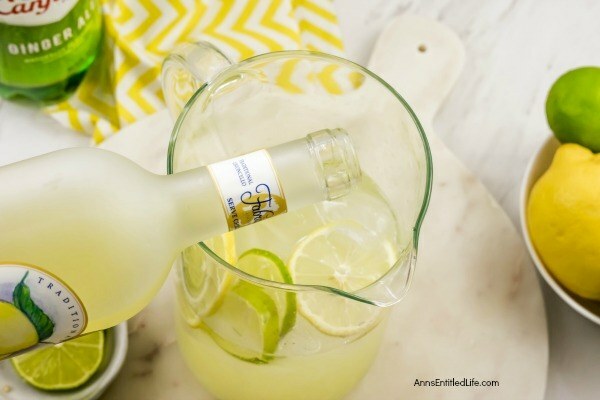 Add 16 ounces of prepared lemonade, 6 ounces of bourbon, 4 ounces of Citron vodka, and 4 ounces of limoncello; stir. Top with 16 ounces of ginger ale. Add a cube or two of ice in each glass. 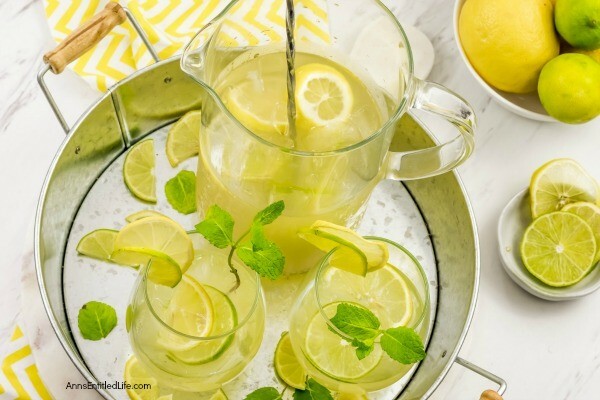 Pour the lemonade cocktail over the ice and add in a lemon and lime and mint sprig for garnish. 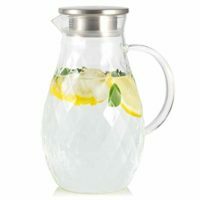 Borosilicate Glass Pitcher with Lid and Spout - 68 Ounces Cold and Hot Water Carafe with Unique Diamond Pattern, Beverage Pitcher for Homemade Iced Tea and Juice. • Sorrento Sunrise Cocktail Recipe – The sweet-tart taste of lemon and bourbon combine for to make a perfect summertime cocktail. Fresh, clean, and citrusy with just a hint of beaches and sunshine, this delightful Sorrento Sunrise Cocktail is a fabulous summer beverage. 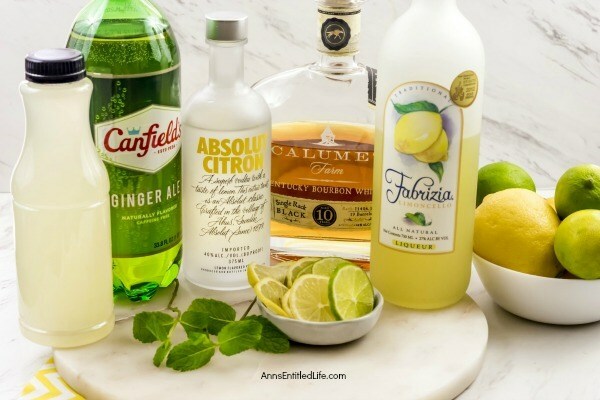 • Central Coast Cocktail Recipe – Prepare yourself for the taste bud explosion – of the best kind – that this Central Coast Cocktail has to offer! 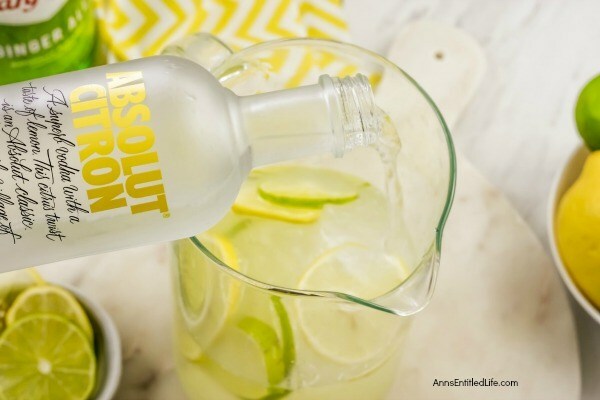 One of the most outstanding qualities of this cocktail recipe is that it tastes just as you would imagine a summer drink should taste – light, bubbly and 100% refreshing. This yummy Central Coast Cocktail Recipe is the perfect combination of sweet and tart, with a touch of fresh mint flavor. Simply delightful. 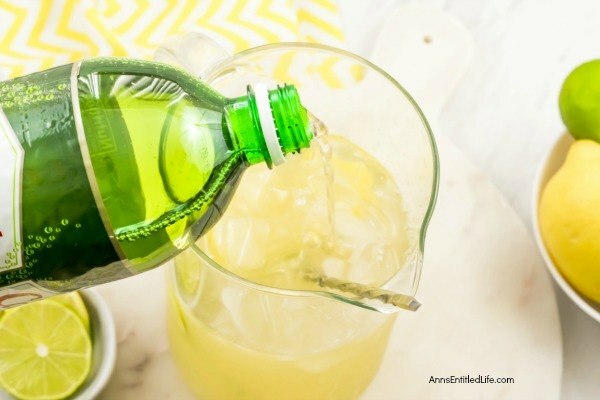 • Painkiller Alcoholic Beverage Recipe – This is such a simple cocktail, yet it tastes so darned good! It will sneak up on you if you have more than a few as it just tastes so delightful. Serve up these terrific sweet rolls for Easter morning breakfast. 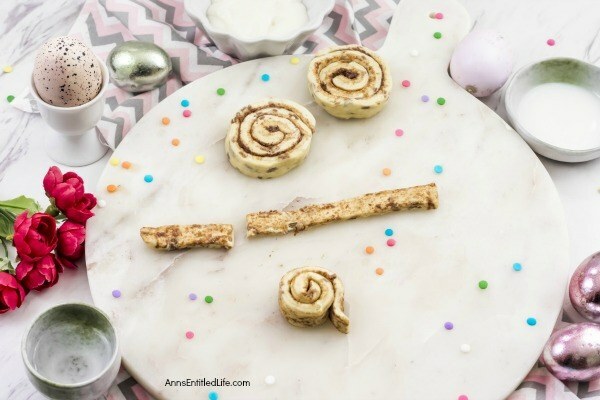 These delicious, easy to make cinnamon roll bunnies are a wonderful addition to your Easter brunch menu! 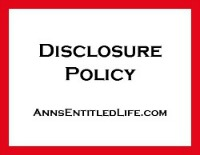 I know this has all the earmarks (haha! get it? 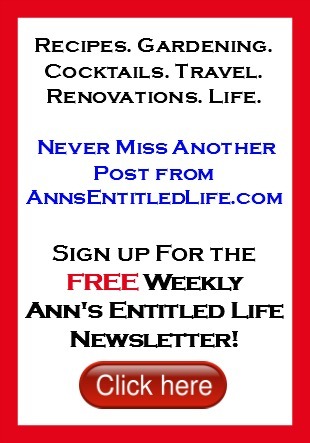 earmarks? bunny ears? eh hem, yeah… anyway…) of a Pinterest-Fail, but these are actually pretty cute, simple to make and great for Easter breakfast or brunch. 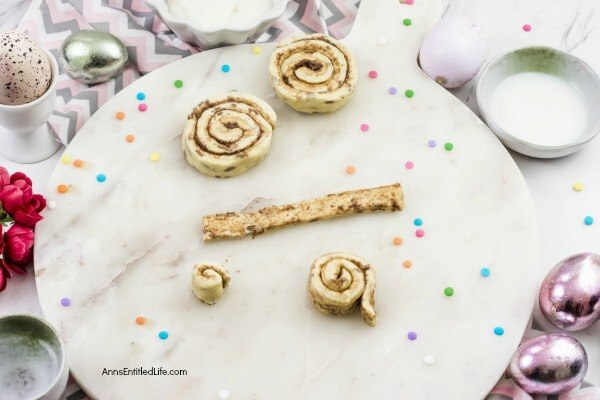 Since you start with pre-made cinnamon rolls, there is less work and a pretty solid cinnamon roll base to work with. • The bunnies can be shaped the night before. Place them in the cookie sheet and cover tightly with foil or plastic wrap and pop it in the fridge, along with the icing. Next day, bake, glaze and serve. Obviously, if you are shaping the night before, do not preheat your oven until you are ready to bake. • These are 1-4-1 with the cinnamon rolls. If you want 16, you need two 8-packs of cinnamon rolls, 24, you need three 8-packs of cinnamon rolls, etc. • Preheat the oven to 350°F. 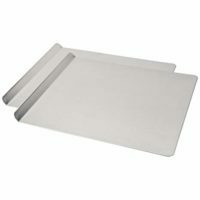 • Line a large cookie sheet with parchment paper. • Pop open the cinnamon roll tube and separate the dough into 8 rolls. Save the icing for later. 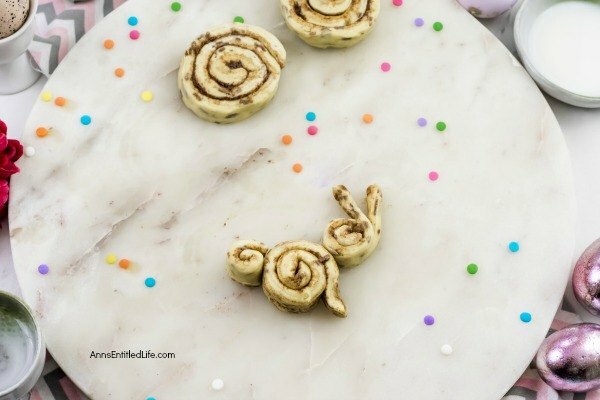 • Unroll one unbaked cinnamon roll and cut into half. 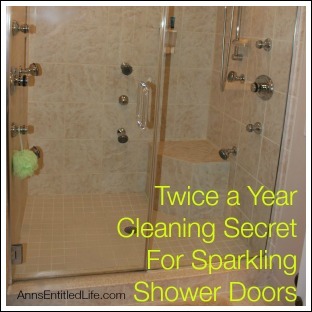 • Take one half and cut one-third of it. So you have 2 strips of dough. • Take the longest strip (the half of the original roll) and roll up tightly to form the body of the bunny. Turn the roll in such a way, so that the end of the roll is facing downwards. That will become the bunny’s front leg. • Take the smallest strip (one-third of the other half of the original roll) and roll it up tightly to form the tail. Attach the tail on the rear end of the body with some water. • Now take the remaining dough strip (two- third of the other half of the original roll) and roll it up tightly, about the halfway to form the head. Slice the remaining unrolled portion, lengthwise, and fan out the pieces to form the ears. Attach the head on top of the body with the water. Shape the ears by pinching the tips. 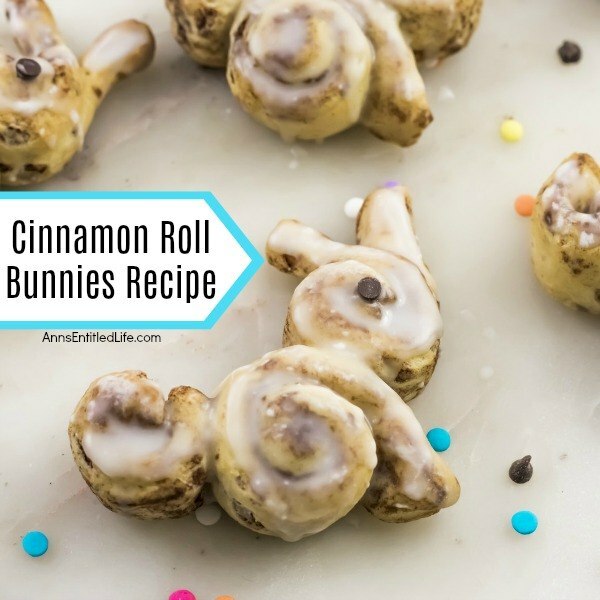 • Carefully transfer the cinnamon roll bunny to the prepared cookie sheet. A wide spatula or a bench scraper works best. • Repeat the process with the remaining cinnamon rolls. 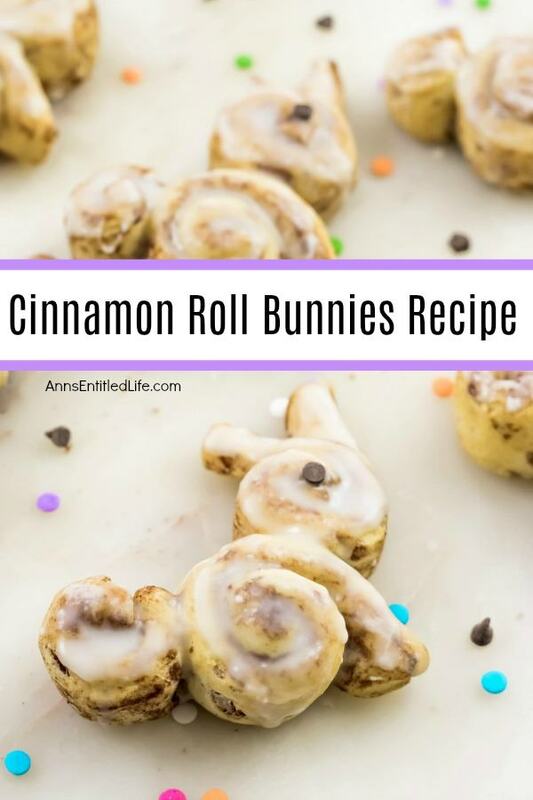 • Once all the cinnamon roll bunnies are prepared, bake at 350°F for 15 minutes or until golden brown. • While the bunnies are baking, slightly thin out the icing with half a teaspoon of milk. 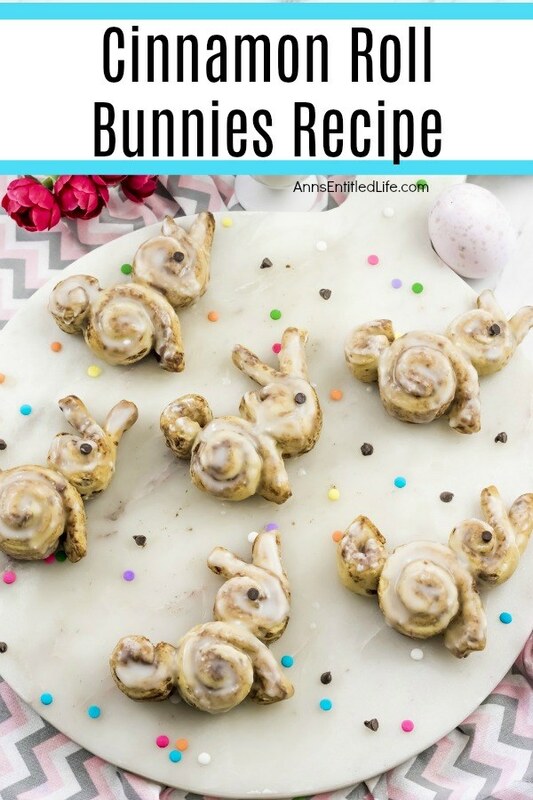 • Once the bunnies are out, let them cool off for a couple of minutes and then apply the icing with a butter knife. For a smooth finish, glaze the bunnies while they are still warm. 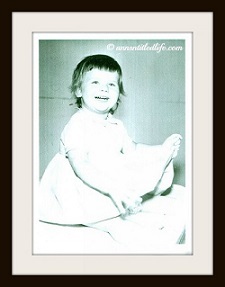 • Place a mini chocolate chip on the wet glaze for the eyes. • Let the glaze harden for a couple of minutes before serving. 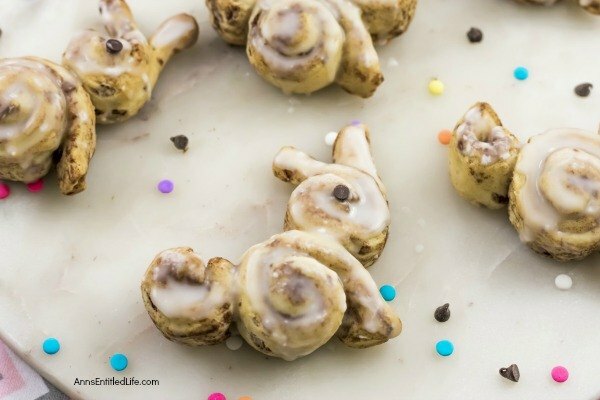 Cinnamon Roll Bunnies Recipe. Serve up these terrific sweet rolls for Easter morning breakfast. 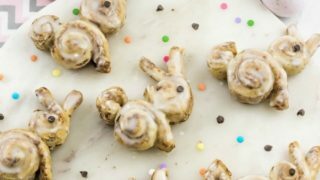 These delicious, easy to make cinnamon roll bunnies are a wonderful addition to your Easter brunch menu! Pop open the cinnamon roll tube and separate the dough into 8 rolls. Save the icing for later. Unroll one unbaked cinnamon roll and cut into half. Take one half and cut one-third of it. So you have 2 strips of dough. Take the longest strip (the half of the original roll) and roll up tightly to form the body of the bunny. Turn the roll in such a way, so that the end of the roll is facing downwards. That will become the bunny's front leg. Take the smallest strip (one-third of the other half of the original roll) and roll it up tightly to form the tail. Attach the tail on the rear end of the body with some water. Now take the remaining dough strip (two- third of the other half of the original roll) and roll it up tightly, about the halfway to form the head. Slice the remaining unrolled portion, lengthwise, and fan out the pieces to form the ears. Attach the head on top of the body with the water. Shape the ears by pinching the tips. 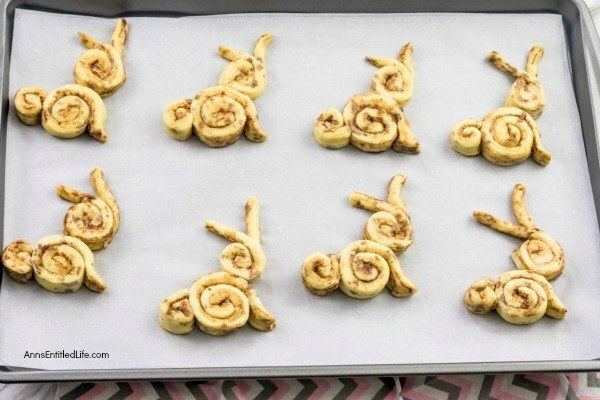 Carefully transfer the cinnamon roll bunny to the prepared cookie sheet. 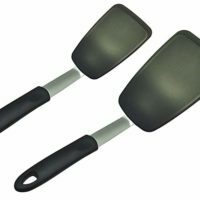 A wide spatula or a bench scraper works best. Repeat the process with the remaining cinnamon rolls. 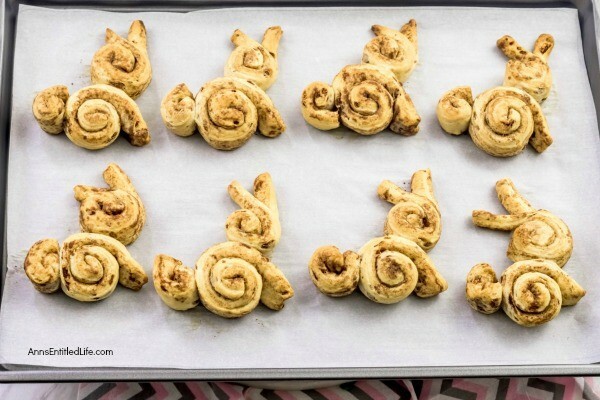 Once all the cinnamon roll bunnies are prepared, bake at 350°F for 15 minutes or until golden brown. While the bunnies are baking, slightly thin out the icing with half a teaspoon of milk. Once the bunnies are out, let them cool off for a couple of minutes and then apply the icing with a butter knife. 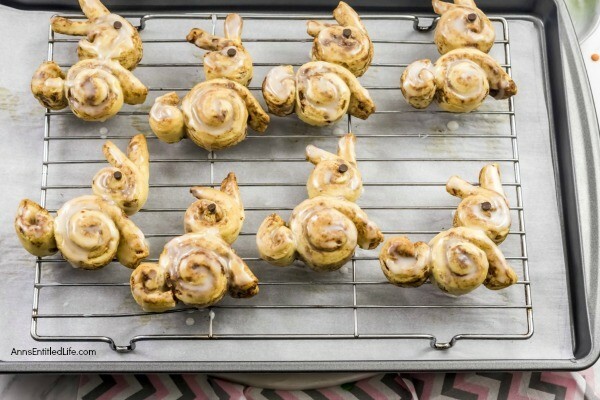 For a smooth finish, glaze the bunnies while they are still warm. Place a mini chocolate chip on the wet glaze for the eyes. Let the glaze harden for a couple of minutes before serving. 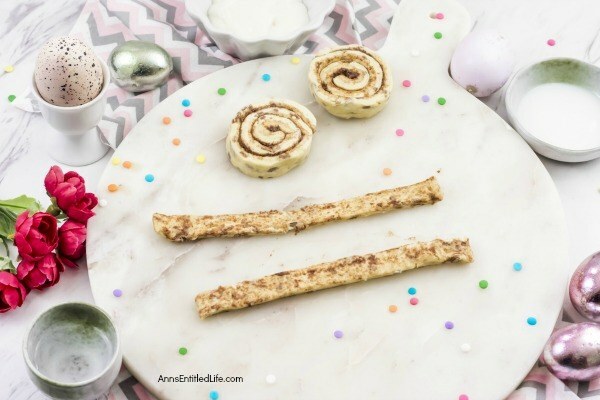 • Bunny Pancakes Recipe – Make these cute bunny pancakes for breakfast today! These easy to make rabbit pancakes are a fun and tasty Easter breakfast idea, perfect for kids and adults. 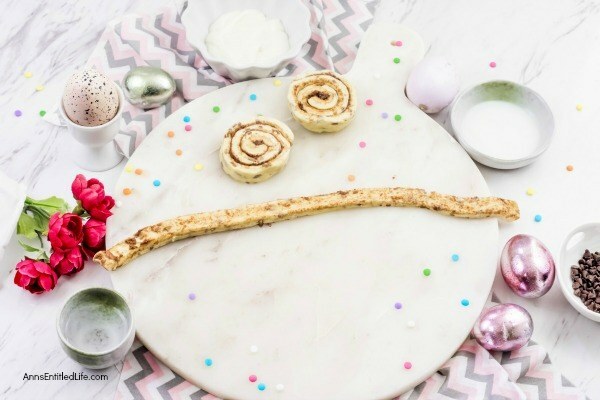 If you are looking for cute breakfast ideas for your children, this bunny pancakes recipe will make you smile as they fill you up. • Easy Easter Cupcakes Recipe – Sometimes, the simplest desserts are the most satisfying. 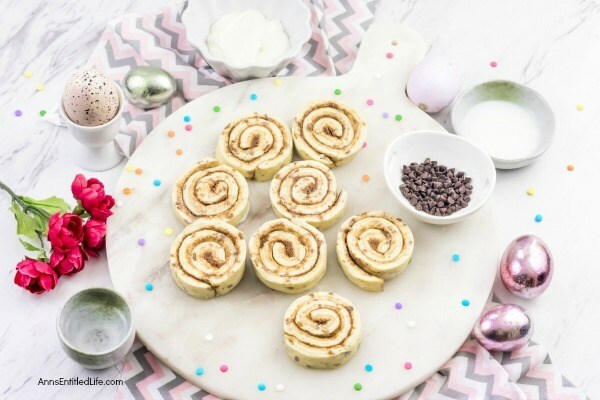 Dress up your cupcakes for a sweet little Easter treat, perfect for Easter brunch, dessert or to send one in for a school snack.